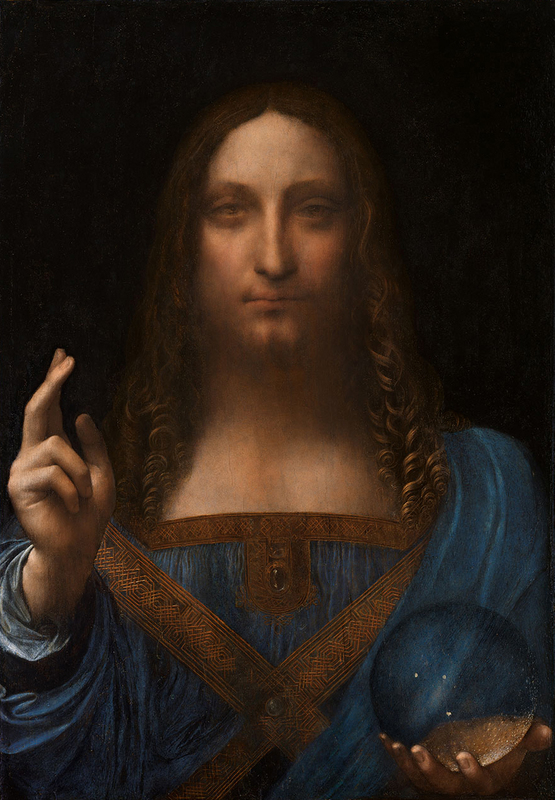 Salvator Mundi, circa 1500. Even now attribution to Leonardo is not universally accepted. At the packed Christie’s auction room, Leonardo da Vinci’s work “Salvator Mundi” was sold for a record price of $450m, yesterday, November 15, 2017. It should be noted that in 1958 it was sold at an auction in London for just $60. Leonardo da Vinci was the epitomy of the Renaissance Man: engineer, architect, scientist, with an interest in everything. And then of course he was a painter. As he was a notorious perfectionist, in the course of his career, which lasted half a century, he managed to complete only 20 paintings. Of these just 15 works survive, that art historians unanimously attribute to him. This is why the discovery of a new painting by Leonardo was such thrilling news and received major media attention worldwide. The painting depicts Christ in the guise of Salvator mundi, savior of the world. Some of the traits of a work by Leonardo are the use of sfoumato, the blurring of boundaries, the interest and obsession in hair, which shows a man obsessed with optics and how light worked. This is also evident in the way light is passing through the crystal sphere he holds in his left hand. His right hand is raised in blessing. The hand was in fact one of the clues for art historians that the painting could be by Leonardo. Because In the beginning of the 20th century it was completely overpainted and people thought it was by a follower of a follower of Leonardo. It was painted around 1500, possibly for King Louis XII of France and his consort, Anne of Brittany. It is most likely commissioned soon after the conquests of Milan and Genoa. Then it came into the collections of three kings of England: King Charles I, King Charls II and King James II.